A torc is an ancient Celtic form of neck ring often made from a single piece or from strands twisted together. Torcs are found in many cultures from the European Iron Age from around 8th century BCE to the 3rd century CE. A gold torc seems to have identified the wearer as a person of high rank for the Iron Age Celts. 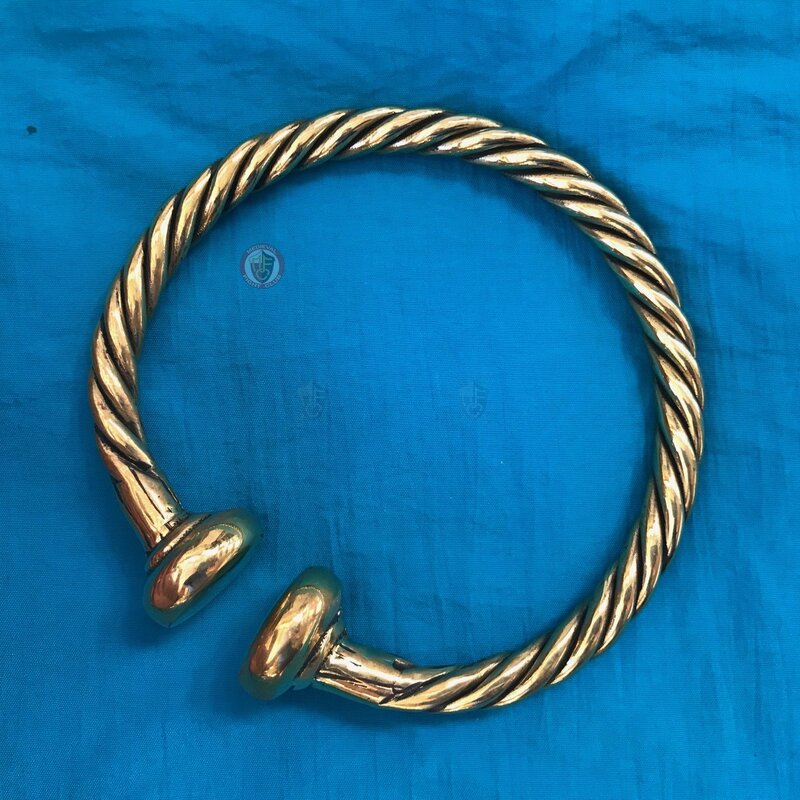 This torc is made from brass and based on a buffer-type found in France. 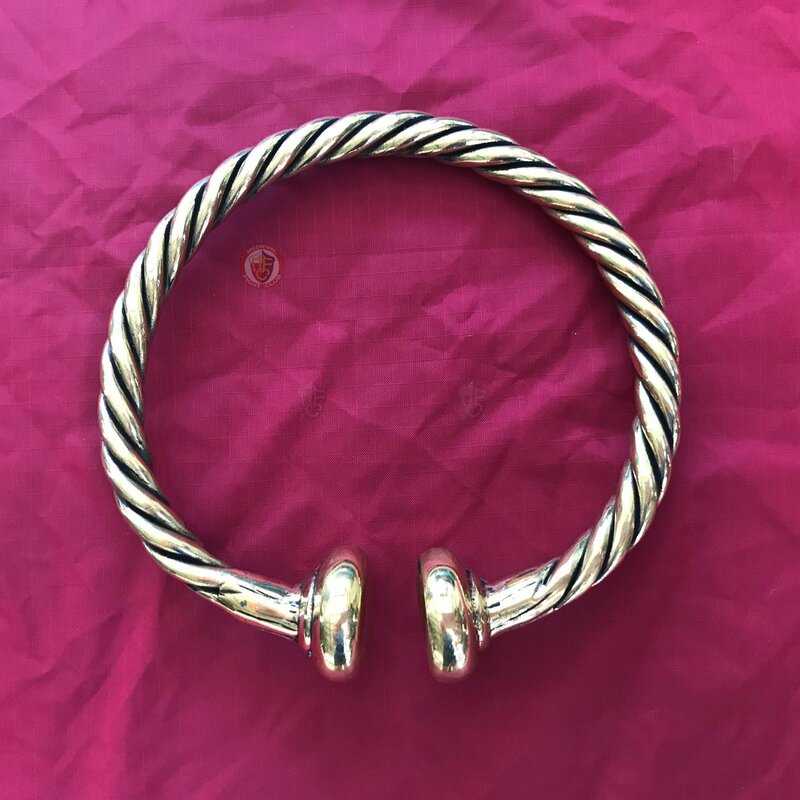 Please note that the above measurements of the torc are the default size, it is also adjustable and should bend to fit the wearer as required.